My wife Robin and I have two wonderful daughters, Anna and Sara, shown in the picture below. 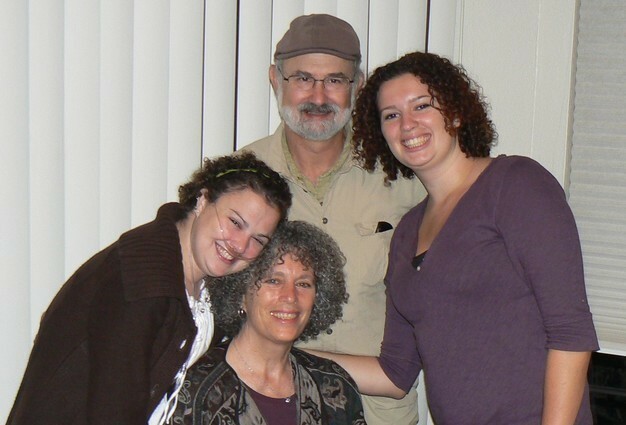 We raised our children in Palo Alto where I worked for 25 years in Silicon Valley high tech companies. Three years ago I joined Lawrence Livermore National Laboratory where I use my engineering skills to help solve challenging problems in our national interest, such in Bioenergy production and new technologies for enhancing our national security. We now live in Livermore in the country next to a vineyard with a view of beautiful rolling hills. After graduating from Terra Linda, I went to College at Cal Poly San Luis Obispo where I recieved a BS degree in Electronic Engineering. I then attended Stanford University and recieved a Ph.D. degree in Electrical Engineering in 1983. While at Stanford, I met my wife Robin and we were married in 1977. Doug Modlin has a birthday today. Doug Modlin added a comment on Profile.